The question is often asked, "Where is Syria in prophecy?" How significant was the surprise bombing by Israel of a secret nuclear development site in Syria in 2011? When will the Isaiah 17 prophecy of the utter destruction of Damascus, their capital, be fulfilled? Syria's capital, Damascus, is considered the oldest continually-inhabited city on Earth, but Isaiah predicted its sudden destruction in the distant future. Psalm 83 may also describe a war between Israel and her neighbors that will have the support of Assyria (Including modern Syria), but this war is different from the even-greater future war of Gog and Magog (Russia with Iran and other major Islamic countries). One would expect that war to include Syria, but it is not mentioned, perhaps because it will have already been eliminated by then. One possible scenario that would include all these factors would be an escalation of the current tensions between Israel and the Palestinians so that a regional war erupts. Russia and Iran would not be involved directly because the time is not yet right for the War of Gog and Magog, but Syria might take the lead in the regional war against Israel. If Israel were to suffer an attack from Syria by a weapon of mass destruction, they could respond with overwhelming force to utterly destroy Damascus. Another possibility is that the current civil war in Syria could spiral out of control and Syria's own known weapons of mass destruction would be used against Damascus, rendering it uninhabitable. An intense civil war began in 2011, resulting in more than 190,000 deaths and some three million refugees leaving the country. In 2014 one of several rebel forces, The Islammic State of Syria, Iraq and the Levant (ISIL - also known as ISIS), a break-off group from al Quaeda, declared the establishment of the Islamic State, a new Islamic caliphate. It took control of large portions of Syria and Iraq by expremely brutal means including beheadings and crucifixions. By the beginning of 2016 more than 250,000 Syrians have died and more than 11 million others have been forced from their homes by the civil war and the cruel tactics of the Islamic State. Whatever happens to Syria could produce the temporary peace in the region that will exist a little later according to Ezekiel chapters 38 and 39, when the War of Gog and Magog will begin. Names translated from other languages may have different spelling, depending on the source. For example, Al Qaida may appear as al-Qaeda, etc. Russian Foreign Minster Sergei Lavrov said on Tuesday that Russia would work more closely with Turkey and Iran on the situation in Syria and said the three countries' cooperation had saved lives by helping to evacuate eastern Aleppo. Putin will use Aleppo’s capture to damage U.S. foreign policy. His intentions are already clear... English-news propaganda outlets such as RT, the Russians are proudly rejecting American demands that Sunni rebels be given safe passage out of Aleppo. Dec. 12, 2016 - While Syria appears to be winning the effort to recapture Allepo from ISIS forces, ISIS has retaken the historical city of Palmyra. The extremist group appeared to be taking advantage of the Syrian and Russian preoccupation with Allepo, timing its attack to coincide with a major government offensive to capture the last remaining opposition-held neighborhoods in the northern city. Oct. 20, 2016 - Tensions are rising between the U.S. and Russia over Moscow's bombing of Aleppo in Syria. Turkish deputy prime minister Numan Kurtulmus said: "If this proxy war continues, after this, let me be clear, America and Russia will come to a point of war." ... He suggested the Syrian conflict could be the beginning of World War Three. The good news: Military forces are poised to launch a massive new battle to liberate the city of Mosul. The bad news: While ISIS is losing ground in Iraq ... it’s ideology has spread to some three-dozen countries. Oct. 16, 2016 - Vladimir Putin said that the collapse of the Soviet Union was "the greatest geopolitical catastrophe" of the 20th century. He has gradually exercised dominance in the Syrian conflict, while US officials describe Russian actions in Aleppo as "barbarism." For a time Russia retreated from the world stage, but now it is back with a vengeance, eager to ... restore something of its former global role and to make up for perceived slights perpetrated by the West. Russia may well take advantage of the US preoccupation with the presidential elections, and use this period of time to gain advantages in various conflict zones. Syrian rebels and civilians in the besieged eastern half of Aleppo are bracing for an onslaught ground assault by Syrian regime forces ... which could once and for all end the opposition’s resistance in the city. Meanwhile, Allepo's largest hospital on the rebel side of the city was by barrel bombs on Saturday during a bombing attack by Russian and Syrian forces. Sept. 20, 2016 - A UN convoy of humanitarian aid for Syrian refugees was attacked. A warehouse was also struck. So far, no one has claimed responsibility for the attacks. The convoy of 31 trucks was carrying life-saving aid to around 78,000 people when it was attacked near the embattled city of Aleppo, the United Nations and aid organizations said. Aug. 13, 2016 - The Associated Press reports that the Kurdish Syria Democratic Forces [SDF] have retaken the Syrian city of Manbij from ISIS control. The capture of Manbij is the biggest defeat for the extremist group in Syria since July 2015, when they lost the town of Tal Abyad on the border with Turkey. Is Syria's Current Unraveling Tied to Biblical Prophecy? 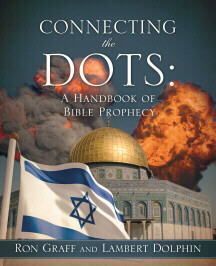 "We're watching Damascus unravel...is that the prelude to the completion of those prophesies? . . . We don't know, but Damascus is the oldest continuously inhabited city on the planet . . . so the fact that it is coming apart is quite extraordinary." At least 83 people were killed in four bomb attacks that hit a Shi'ite suburb of Damascus, pro-government media outlets and a monitoring group said, hours after a deadly twin attack hit the city of Homs, killing 59. The target area in Damascus is home to a Shi'ite shrine. Earlier in the day a twin bomb attack in the city of Homs killed at least 59 people. The attacks were apparently carried out by ISIS. Feb. 16, 2016 - The Syrian situation is becoming what some analysts are calling a "miniature world war." The northern Syrian province of Aleppo is the focus of the action. World powers have called for a pause in fighting this week, but the conflict is still growing. Meanwhile, ISIS is still very active, and is overtaking more cities. Feb. 12, 2016 - In an effort to end to Syria's bloody civil war, world powers said they would try to begin a temporary "cessation of hostilities" next week. Russia's prime minister warned that the use of foreign ground troops in the conflict could result in world war... However, the ISIS and al Nusra Front terror groups will not be involved in the truce. Meanwhile, US Secretary of State John Kerry said that the agreements were so far only "commitments on paper," And Russia said they will coninue their bombing campaign. Copyright © 2007-2017 by Ron Graff. All rights reserved.